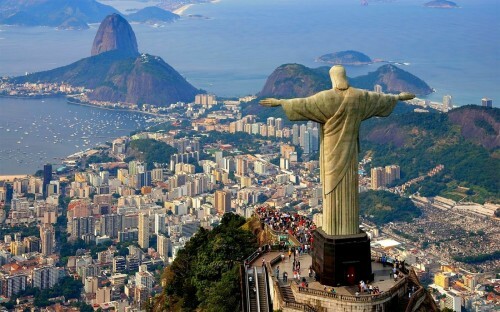 UPDATE 4.4.2019: Cheap flights to Brazil now available from Paris to Rio de Janeiro for only €357! Decent availability from April to June 2019 and then from September 2019 to February 2020, e.g. 4.6.-19.6., 10.9.-27.9., 22.10.-29.10., 5.11.-15.11., 22.11.-3.12. or 28.1.-11.2. BOOK NOW, check screenshot. If you want to visit Brazil you have a perfect opportunity now! 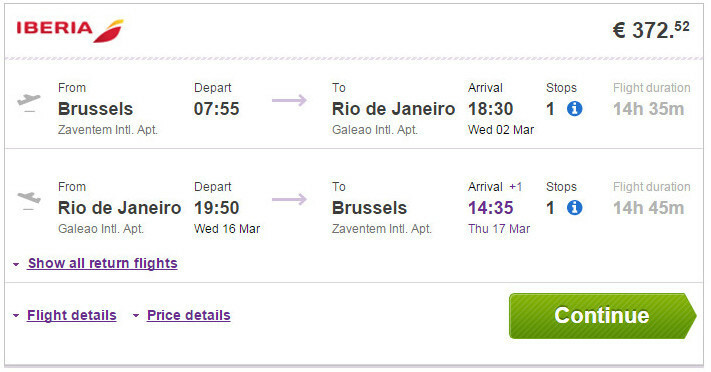 Return flights from Brussels to Rio de Janeiro are available for only €372! Brussels is easily available from whole Europe thanks to Ryanair and other low cost airlines. There is 1 short stopover in Madrid. Travel dates are until end of June 2016. You have to book your tickets today, this offer is valid only until 2nd February 2016! Book via Vayama for the best price or directly through Iberia for few Euros more! « CRAAAZY cheap flights to USA: Los Angeles for only €197!